Last week, John of Pairs With: Life won Monthly Wine Writing Challenge #28 (#MWWC28) and just like all previous winners of the Challenge, his “reward” was to choose the theme for the following Challenge (in this case #MWWC29). We had ten submissions last month’s theme “Smile” which was a bit of a drop off from previous months. During the last couple of weeks, I have done a bit of soul-searching in order to try to ascertain the reasons therein. Was it the fact that I berated Beth of Traveling Wine Chick to produce a theme that was not quite as dark as the theme she had submitted for her previous win? (It was “Solitude” for those of you scoring at home—or even those of you who are alone.) Perhaps it was some sort of karma-induced retribution for my flippant (but good-natured ribbing? Or else it could have been a result of the collective fatigue that the current election cycle has caused? Sure, that is a rather lame excuse, but it seems that is the way this country is headed—why blame yourself when there is at least one other person who you can “tag” with the blame? Or, could it be as simple as the fact that the Russians have hacked this Challenge, due to its overwhelming popularity, hoping to deprive all from quality wine writing? I want to stress that the goal of this Challenge (at least for me) is to, well, challenge myself to get out of the norm and produce something I would otherwise not write, be it fiction, non-fiction, whatever. Recently, I have been falling into the trap of making the theme fit into my writing instead of having the theme inspire me to write. Last month, many of you heeded this plea, which was wonderful to see. There were still detractors, though, that chose to produce the same drivel that is all too familiar. I won’t name any names (other than the Food and Wine Hedonist and the Sahmmelier—both of whom are far too talented to be bothered with our little Challenge), but I hope people take this monthly Challenge to jump out of the bottle a bit and challenge themselves. One of the best things about the Monthly Wine Writing Challenge is that it was developed with the purpose of making us better wine writers, i.e. the accent is on the writing, not on the wine. Being a better writer takes a lot of study, a good amount of practice, a fair bit of introspection, and after deleting that fourth draft, a bottle of wine. How ironic. You can look at it as History, or Herstory. It’s the story of why you’re a wine writer, or what lead you down this sick and twisted UHHHHH totally awesome path. Was it a person, a place, an event, a bottle…all of the above? A series of fortunate or unfortunate events? At some point in our collective lives, we decided we love wine and we love to write, and then some bizarre and quasi-narcissistic force reared up and told us that other people really want to read what we have to write. How did that happen for you? All I can say is roll with it, Sparky. Write a post based on this month’s theme: “WINESTORY”. Use the hashtag #MWWC29 somewhere in your post. Tweet, using the #MWWC29 hashtag and include a link back to your post. 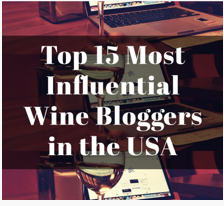 This entry was posted in #MWWC28, #MWWC29, Monthly Wine Writing Challenge, Wine and tagged Challenge, Monthly Wine Writing Challenge, Sommelier, the Challenge, wine, Wine Geek. Bookmark the permalink. say what? Hmmm, we might be in for a lot of emotional content with the theme like that – definitely looking forward to reading – yes, and writing for this one too. Still bummed that I missed the last challenge. Definitely a bit of a departure from the norm, but that seems to be going around a bit these days!